I don’t know why we haven’t posted this recipe sooner. It’s quick, easy and it’s yummy, especially for Thanksgiving Dinner, Crazy Easy 7 Up Biscuits. Have you ever tried making biscuits? 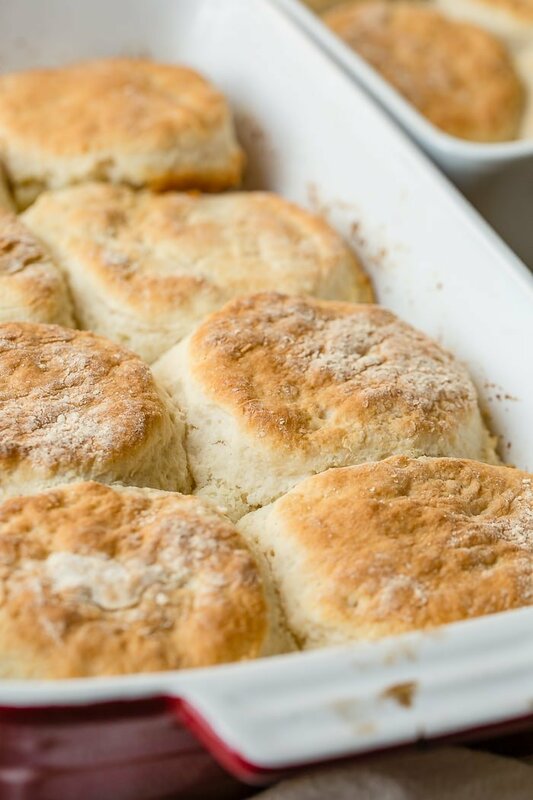 It’s a little intimidating at first because you’re trying to keep the butter cold and cut it into the biscuits just the right way, not over mix or over pat the dough, and then there’s the recipe itself! Did you pick the right one because they are for sure flatter than the picture! And then we discovered Crazy Easy 7 Up Biscuits! Oh my goodness!! There really is something about biscuits that I love. 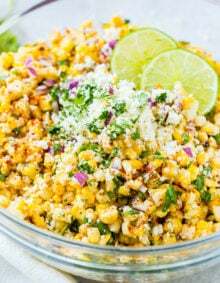 I love the texture, I love the taste and I especially love that you don’t need many ingredients. What I don’t love is that if you didn’t grow up making them, even with only a few ingredients you can totally mess them up. Recipes should always turn out and not ever flop because when you want hot, buttery carbs drizzled with honey or slathered with jam you cannot accept the flat or dry mess that they can turn out to be. 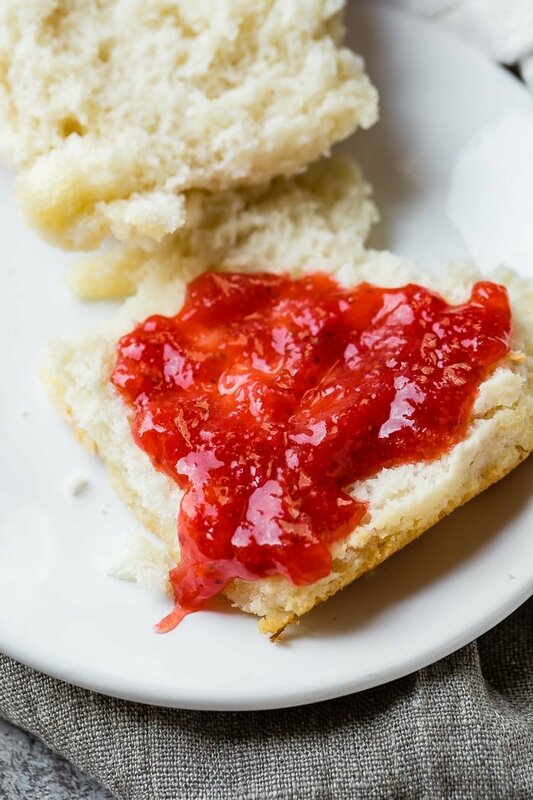 Our Crazy Easy 7 Up Biscuits recipe is much easier. There’s no butter to deal with in the dough itself, but they still turn out buttery. Are 7 Up Biscuits Sweet? Before we charge into this recipe and how to make crazy easy 7 up biscuits, let’s get one question out of the way, are 7 up biscuits sweet? I know, I had the same question. These Crazy Easy 7 UP Biscuits are totally like a normal biscuit. You would never even guess that it’s pop in there! While we are on the subject, we might as well get this out of the way… do you say POP or SODA? I say pop, always have and always will. Cade says soda. Or Coke because apparently in the south everyone says coke and then the name of the pop, which seems confusing and kind of sweet in a southern way. How Do You Know When Biscuits Are Done? 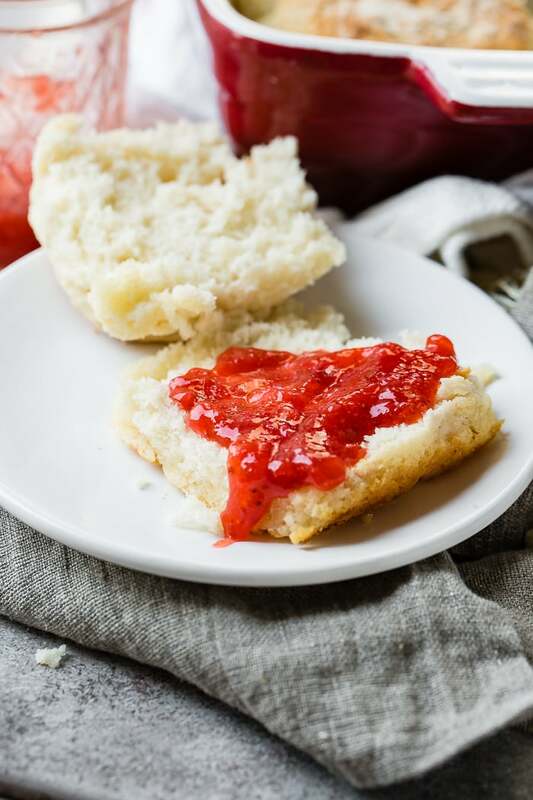 Biscuits, scones and shortcakes are done when they have risen high and are golden brown. You should also be able to tap the top without it sinking back down from the wet dough. 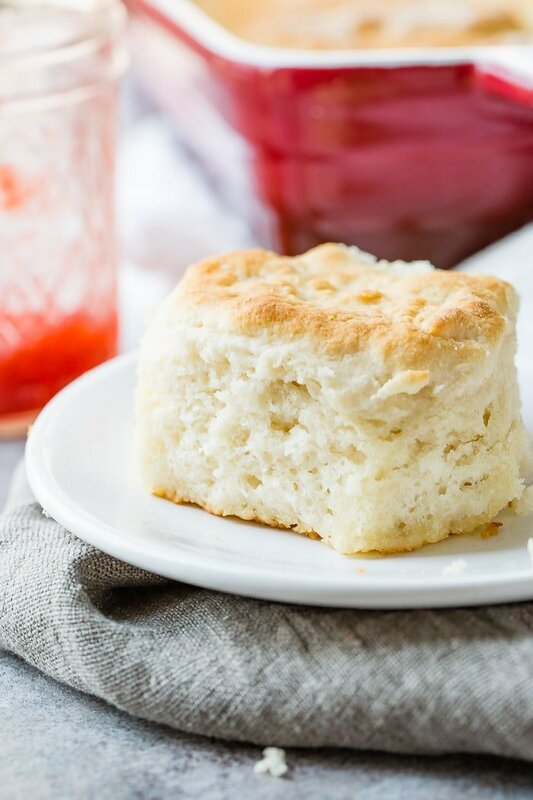 You will need a few ingredients for these biscuits but if you’re like us, you may not have them all on hand at all times, so let’s break it down. Sour Cream – yes, you can use lower fat, but they do seem higher when you use regular sour cream. This is really quite easy, but the part, in my opinion that get’s a little crazy is when you have to fold the dough in extra bisquick so practice really is what makes perfect. Start with a large bowl, and add the Bisquick, sour cream and pop (there’s that word again). Do NOT use a whisk to stir everything together. This is a very sticky dough and you will be giving me the evil eye if you have to clean all of that dough out of the whisk. Use a wooden spoon or even a fork, which is what I often do. Here’s where it’s important to slow down and be gentle. Sprinkle about 1/4 cup of Bisquick over the counter and scoop the stick mess onto it. Sprinkle another 1/4 cup over the dough and gently slide your hands under the dough, gently picking up the dough and folding it over the other half. Turn the dough a quarter turn and repeat until the dough is soft, but not sticking to your hands unless you squeeze it tight. Gently, ever so gently pat the dough out evenly. Now most recipes say 1″ thick but I prefer mile high biscuits so I push 1 1/2-2″. 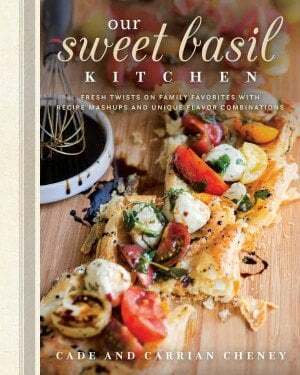 Pour melted butter into a 9×13″ baking dish. Gather a little of the Bisquick on the counter into a pile and put your biscuit shaper into the product, jiggling it a little. This will keep the dough from sticking to the biscuit cutter. Cut the biscuits out and lay each one in the pan. Re-form the dough and continue to be as gentle as you can, and place each in the pan. Bake for only about 10-12 minutes and then remove from the oven. 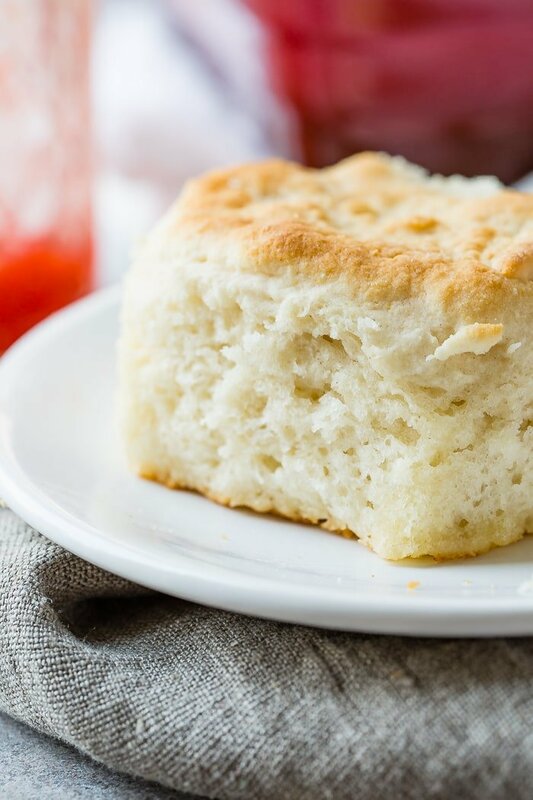 What is the Difference Between Biscuits and Rolls? The main difference between dinner rolls and biscuits is how they are put together not how they are risen, which is often a misconception. Dinner rolls are normal glutinous, yeast bread. With this method of bread making, wheat flour is mixed with water to form gluten. Developing the gluten is essential to this type of dough or recipe. Biscuits are assembled using the, “biscuit method”. With this method of bread making, solid fat is cut into flour. There’s where “pea sized butter” comes into play. 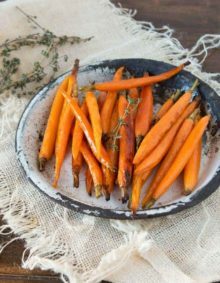 The fat is not fully incorporated but is instead left in small pieces which is essential! Liquid is added and mixed in only briefly. When the dough bakes, the pockets of fat and lack of gluten from not kneading produce a flaky, fragile product which is the characteristic biscuit texture that we all love. How Long Will Biscuits Keep? Properly stored, freshly baked biscuits will last for about 1 to 2 days at normal room temperature. How long do biscuits last in the fridge? Freshly baked biscuits will keep well for about 1 week in the fridge when properly stored. Why do My Biscuits Come Out Flat? The most likely culprit is overmixing. It is the bane of biscuits, muffins, quickbreads and pancakes. All of the aforementioned should be mixed quickly and lightly, just enough to combine the ingredients. Use a fork or a big rubber spatula wielded with deft, unobtrusive strokes. Another culprit could be your baking powder. BP is one product where the exp. date really means something. I don't know why we haven't posted this recipe sooner. 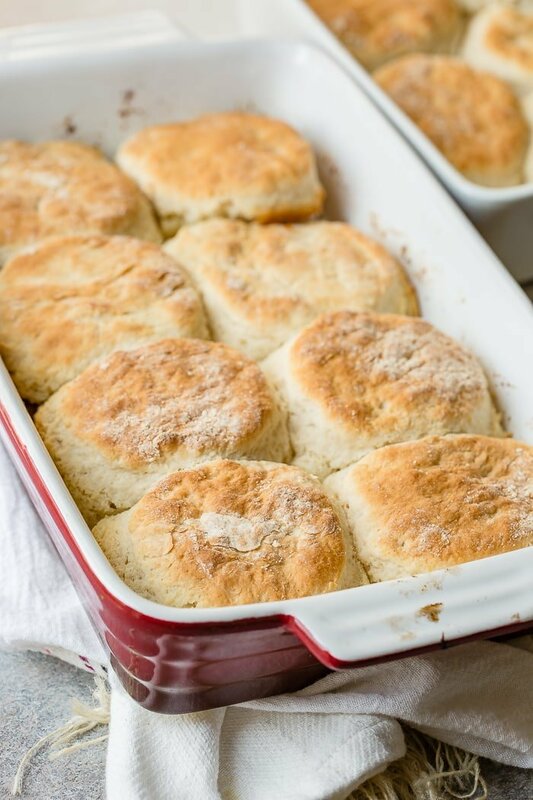 It's quick, easy and it's yummy, especially for Thanksgiving Dinner, Crazy Easy 7 Up Biscuits. Melt the butter and pour into a 9x13" pan. In a large bowl, stir together the bisquick, 7up and sour cream. The dough will be extremely sticky. Sprinkle 2- tablespoons to 1/4 cup of bisquick on the counter, and turn the dough out onto the counter. Sprinkle 2 tablespoons to 1/4 cup bisquick over the dough. Gently slide your fingers under the dough and lift it up and over the dough so it folds in half. Turn the dough and gently repeat until the dough is no longer sticky unless you squeeze the dough. Gently pat the dough 1 1/2-2" thick. 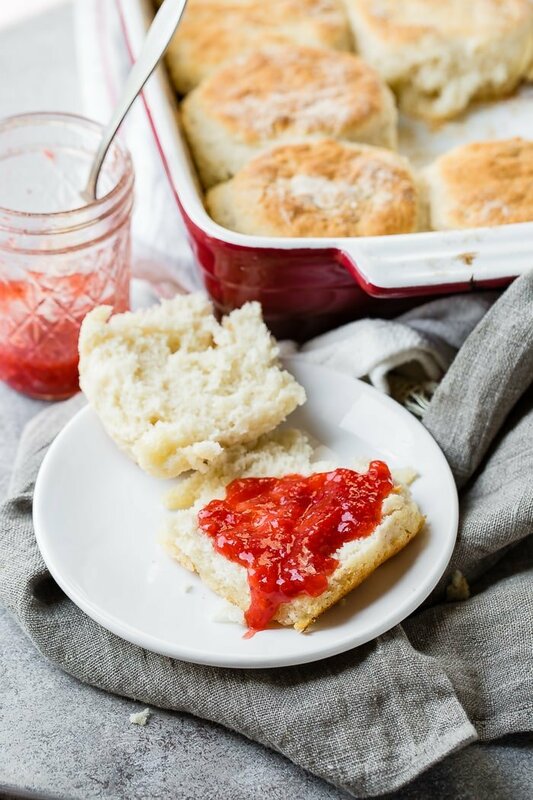 Place a biscuit cutter or jar in the leftover bisquick to flour it and gently cut out biscuits, repeating in the flour as necessary. Carefully bring the dough back together and pat it out until you've used all the dough. Place the biscuits in the buttered pan and bake for 10-12 minutes. Remove from the oven to cool and eat! 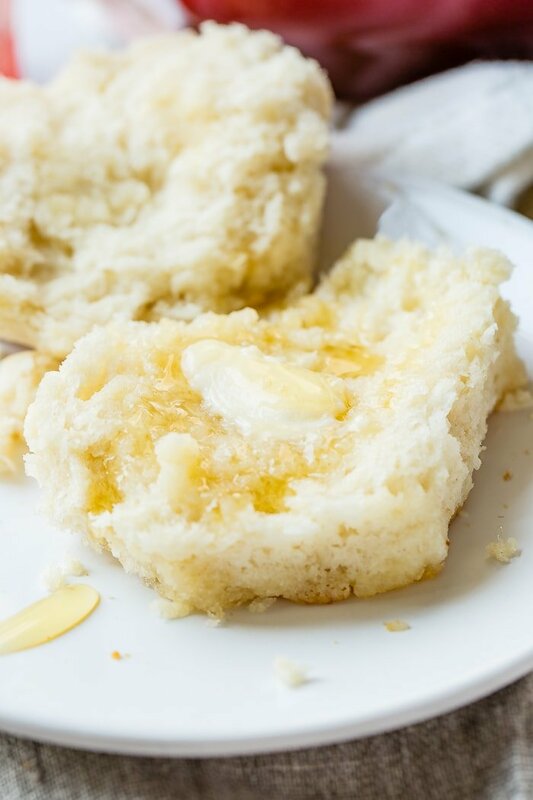 If you are fresh out of 7-up and still need biscuits in your belly, try this biscuit recipe! And if you want to go totally crazy, top your 7-up biscuits with this chocolate gravy! Can I add cheese to this biscuit recipe? I would give that big HECK YES!! Throwing some grated cheese in these is delicious!! I apologize for the confusion! 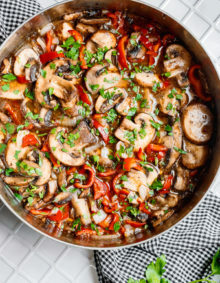 I actually split the recipe between two smaller pans for the photo shoot for this one. You’ll get 15-16 rolls out of the dough which fit perfectly in a 9×13 pan. Trying these tonight! And btw its soda ..
Hahahahaha! 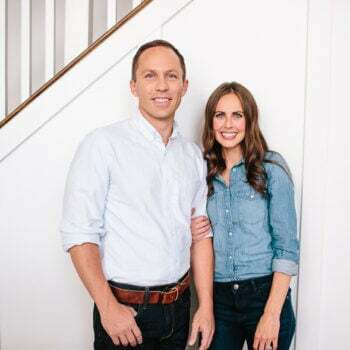 How did they turn out?